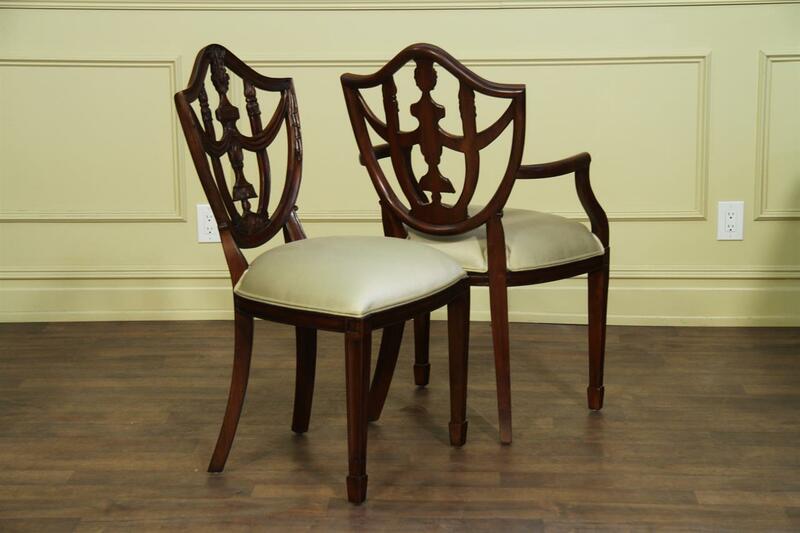 Description: Antique reproduction Prince of Whales shield back dining room chair. 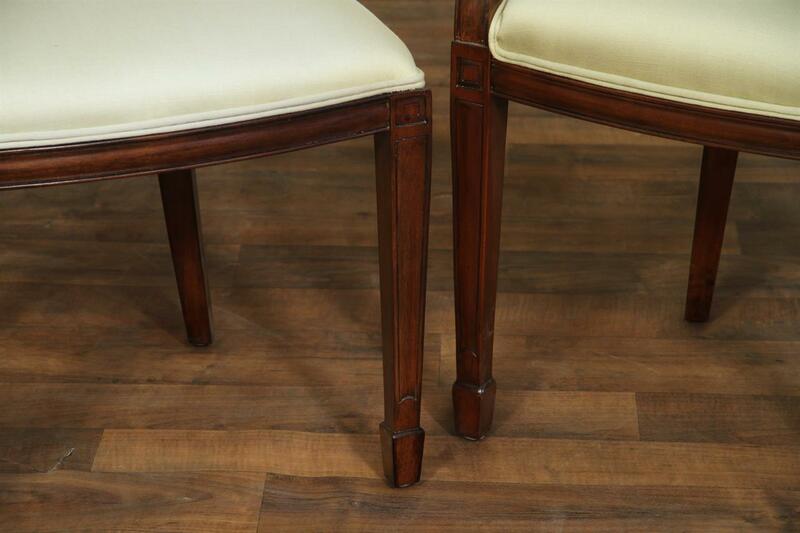 Spade foot and saber legs. 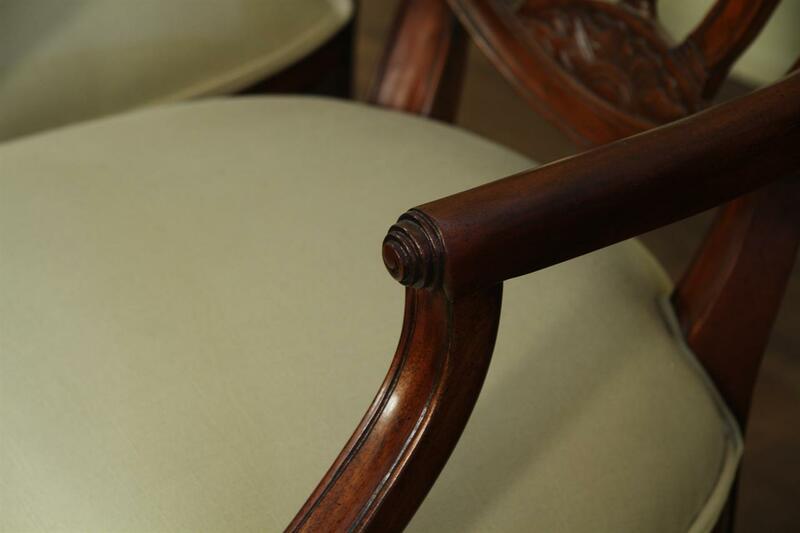 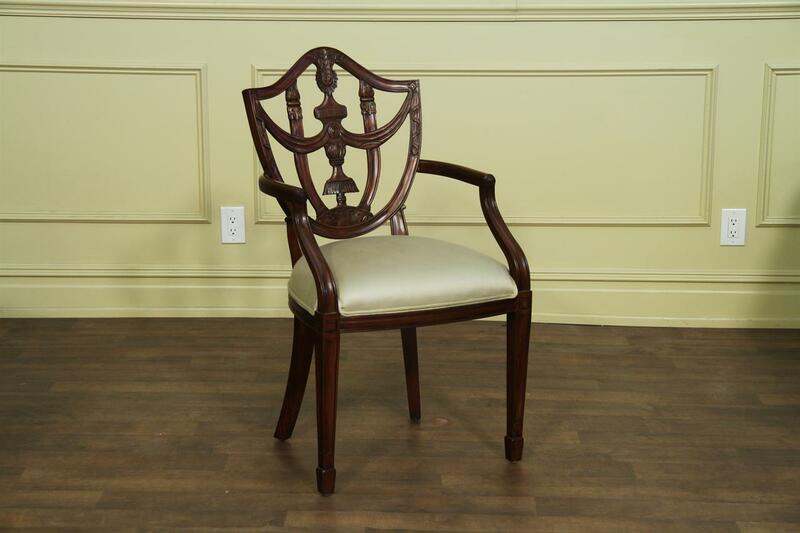 Solid mahogany, heavy dining room chair with warm brown mahogany finish and neutral silk fabric. 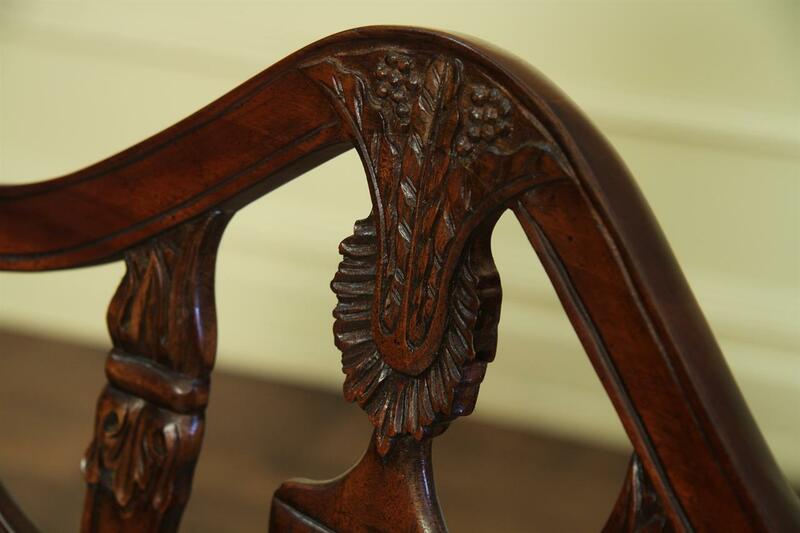 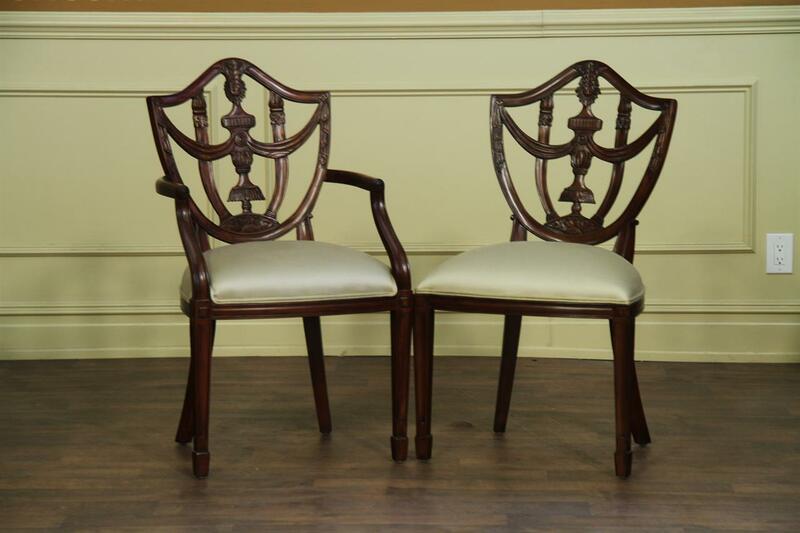 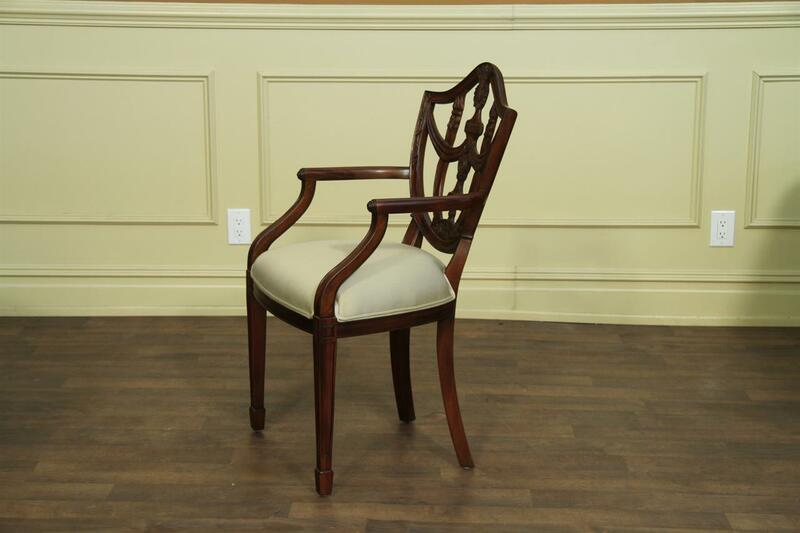 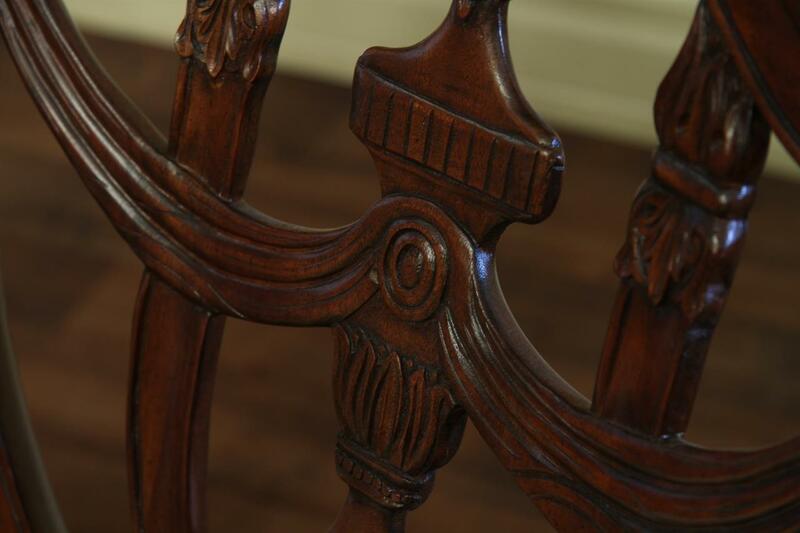 A quality, high end solid mahogany dining room chair for a classic and formal dining area.